We have just had a wood-fired pizza oven brought over from Italy and installed in our kitchen. So, we can now cook authentic pizzas for you during your stay at Cheviot Holiday Cottages! 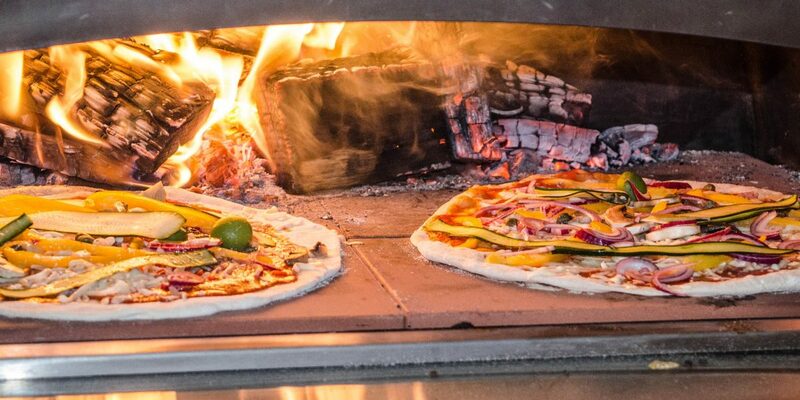 For many people, an evening around your table sharing handmade stone baked pizzas is a great way to spend precious time together with family or friends. Each week, subject to availability (sorry not usually weekends as arrival meals can be order instead) these delicious individually prepared thin base pizzas are served piping hot to your cottage on a large wooden board accompanied by fresh basil and parmesan shavings.